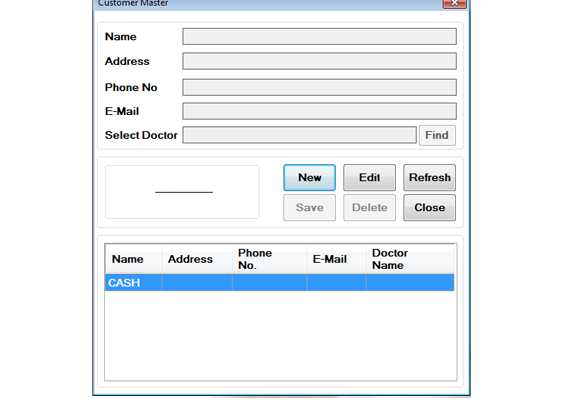 Track & bill your customers as seperate entities from a single screen generating two seperate bills Multiple levels of security . This is a login window. 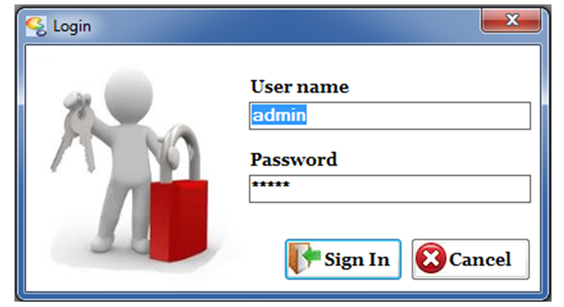 Here put your login user name and password and after that click sign in button. This is a main window. Here you can view all menu. This is a Shop Master Windows. 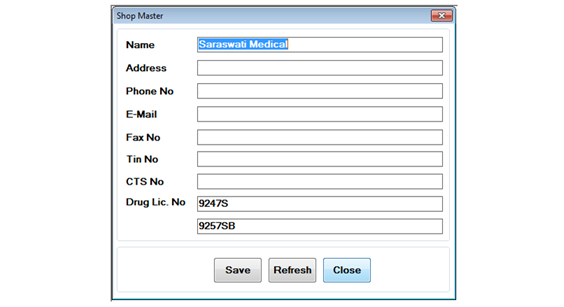 Here you can put your shop details, Like Shop Name, Address, Phone Number, Drug License Number etc. 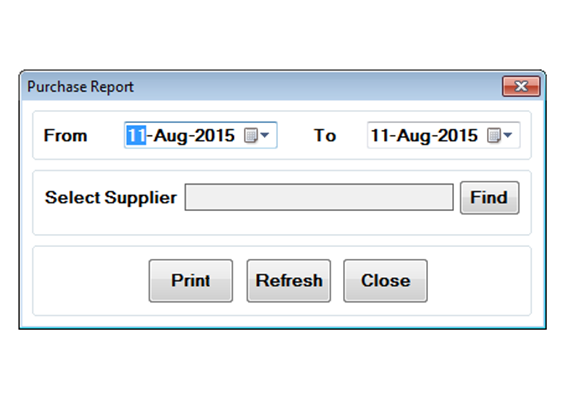 This is a Supplier Master Windows. 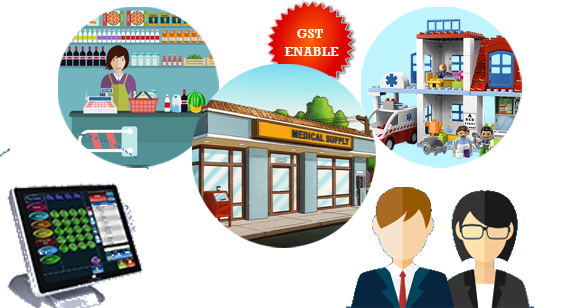 Here you can put your all Supplier or vendor details. This is a Manufacturer Master Windows. 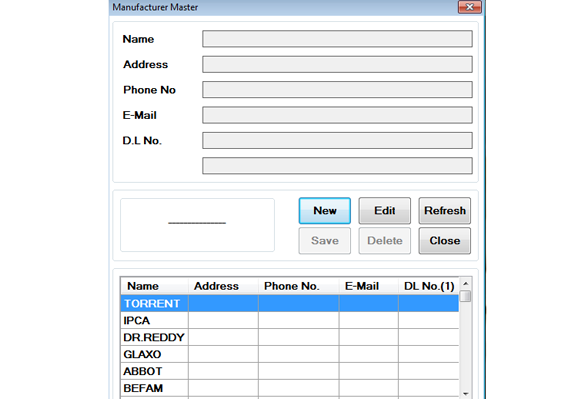 Here you can put all the manufacturer name with address, phone, e-mail and drug license number. 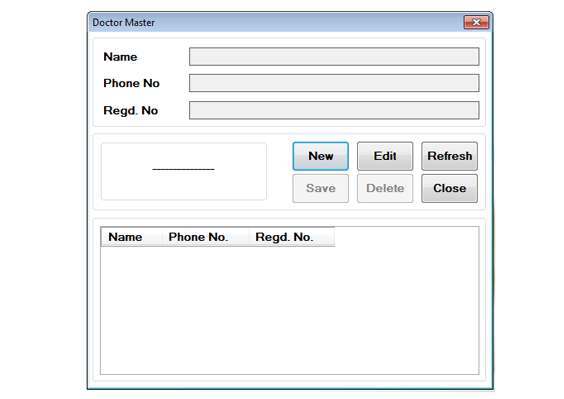 This is a Doctor Master Windows. Here you can put the doctor name, who have prescribe the medicine. This is a User Master Windows. 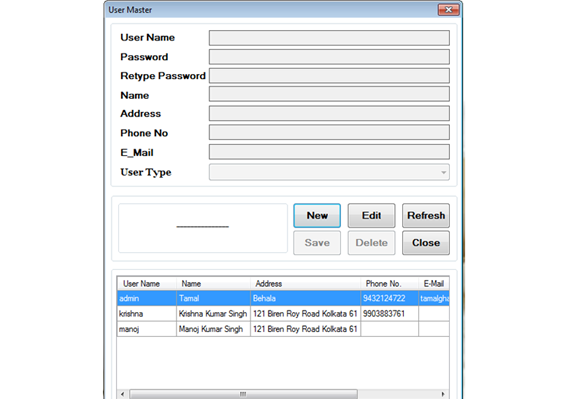 Here you can create all the user name who has used the software. 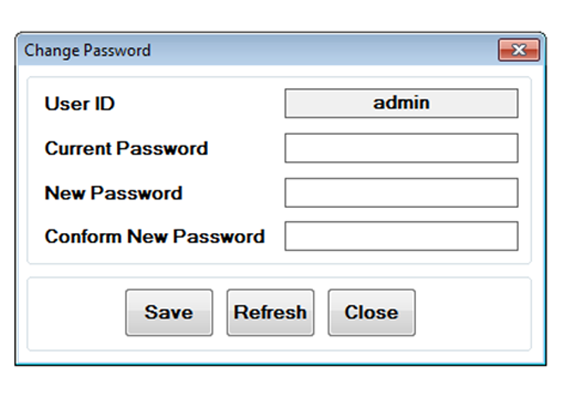 The given user name and password is used . This is a Accounting Year Master Windows. 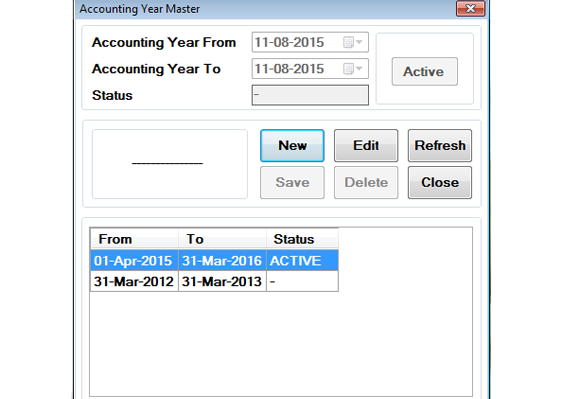 Here you can put all the Accounting period where you have work. This is a Stock Adjustment Windows. 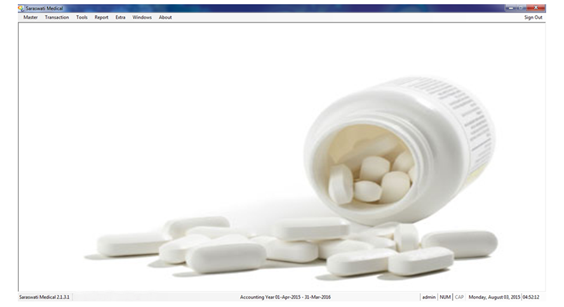 Here you can adjust your particular medicine stock with the particular bath number. This is a Change Password Windows. Here you can change your login password. 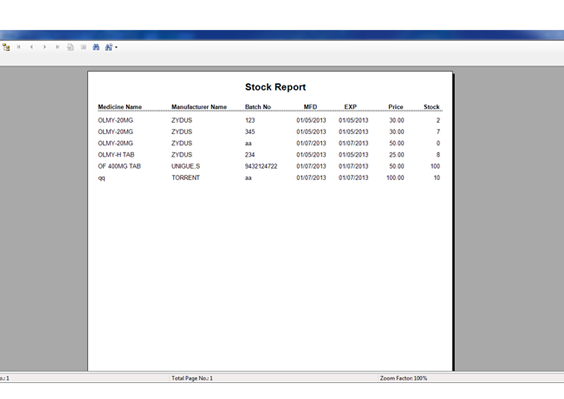 This is a Medicine Stock Report Windows. 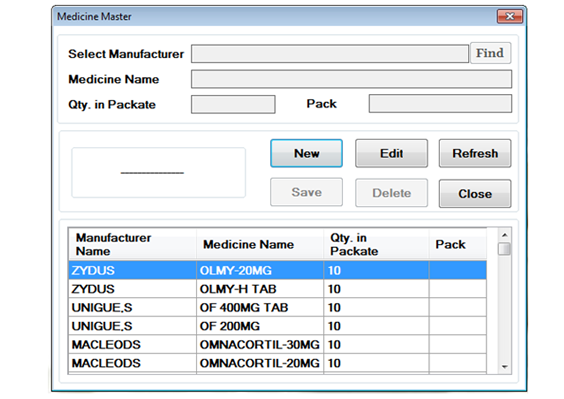 Here you can display your current medicine stock details with expiry date. 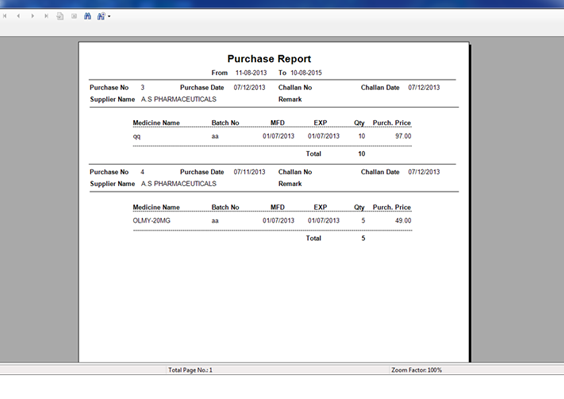 This is a Purchase Report Windows. 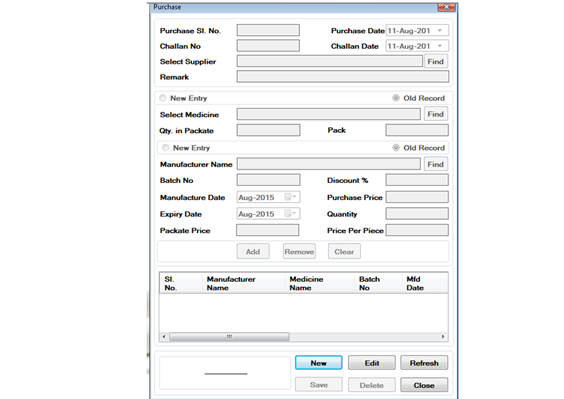 Here you can display your Purchase Medicine details for the purchase number group wise. 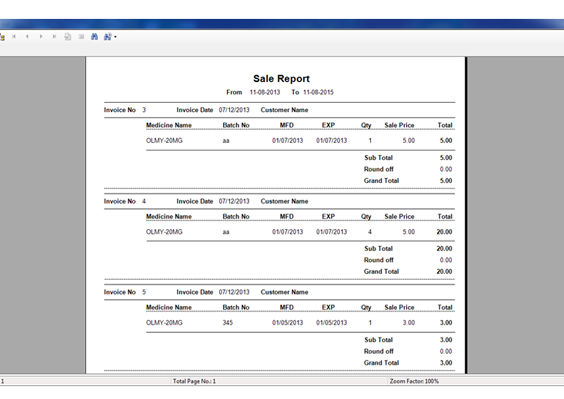 This is a Sale Report Viewer Windows. 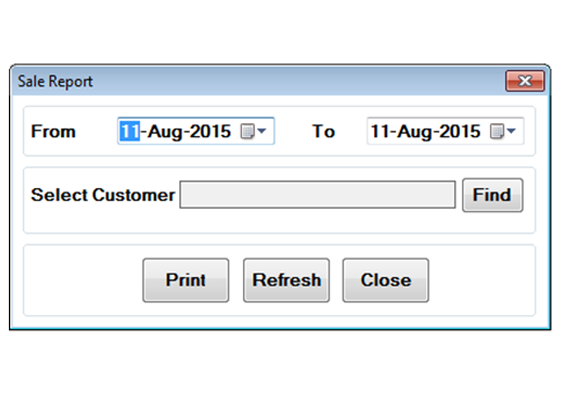 Here you can display your Sale Medicine details for the Customer wise or all from one to another date. This is a Sale Report Windows. 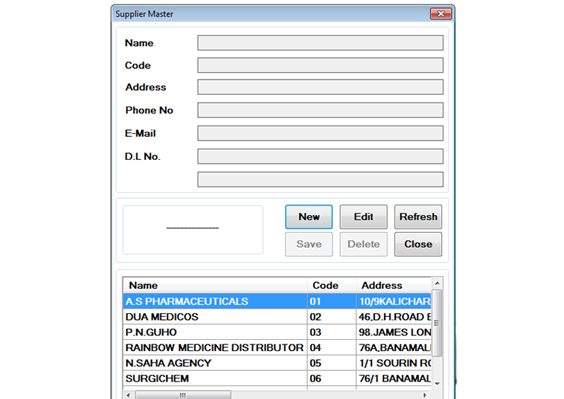 Here you can display your Sale Medicine details for the Invoice number group wise. 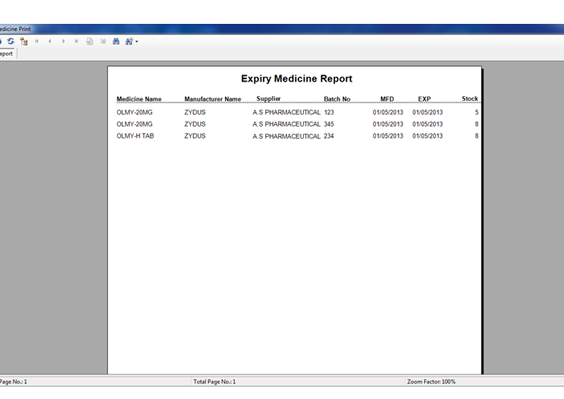 This is a Expire Medicine Report Windows. 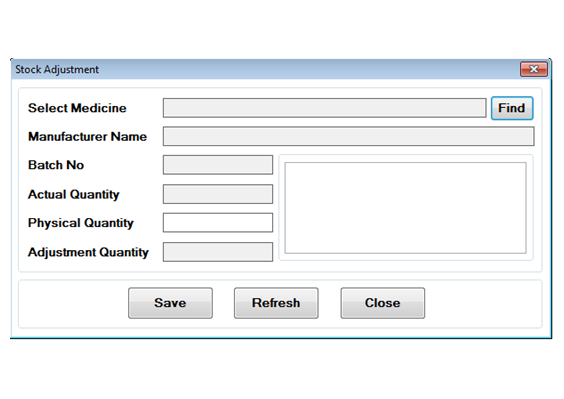 Here you can display your all expire Medicine details of the selected month and year.